Tragedy struck the set of Deadpool 2 yesterday when a female stunt driver was tragically killed on set. Professional motorbike racer Joi ‘SJ’ Harris died after she crashed her motorbike through a glass window of a ground-level studio while performing a stunt for Deadpool 2 during filming in Vancouver. Harris was stunt-doubling for actress Zazie Beetz’s character, Domino. Reports from the set say Harris successfully completed the stunt four times before losing control of her bike on the fifth attempt. She was completing a stunt that required her to come full speed down a set of stairs when she quickly lost control, crossed the street, jumped a curb, swerved to avoid pedestrians and crashed through a window. She was not wearing a helmet at the time because her character was not meant to be wearing one in the film. While this was Harris’ first time working as a stunt performer on a film, she was no stranger to working with motorbikes. 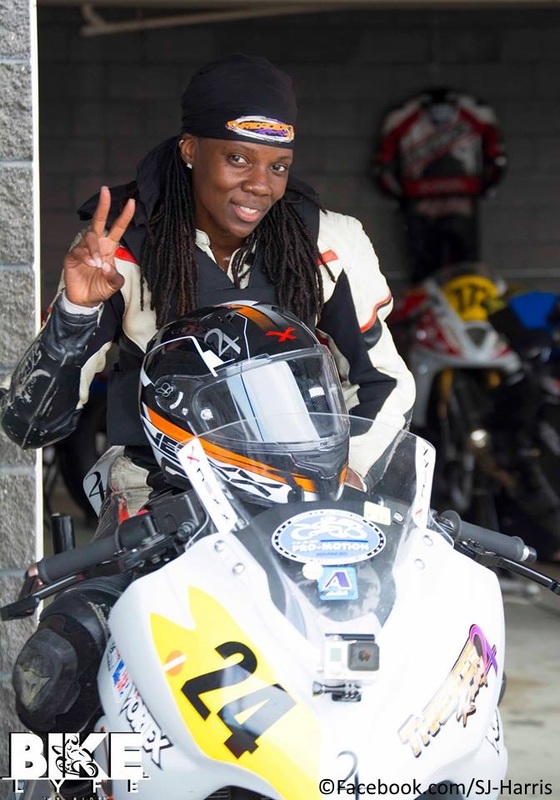 Harris obtained her American Motorcyclist Association professional license in 2013 after completing more than 1500 training hours. She is also recognized as the first African-American professional female road racer. Production on the film has been shut down. There is no word as to when it will resume. SO SAD ABOUT THE LOSS OF THIS STUNT WOMANS LIFE. I THINK ITS IRRESPONSIBLE FOR A MOVIE DIRECTOR TO AGREE TO A STUNT LIKE THIS WITH NO HELMET. WHY? DOES THE AUDIENCE REALLY CARE? I agree, those that do the stunt performing are an incredible breed of people with no fear and they certainly love what they do. I’ve met a few stunt performers and they have all said the same thing, if they go out, they want to do it while doing what they love. One once said if it was good enough to make it onto a great movie then he will be immortalized on film and we can all see him whenever we like as often as we like. It is odd that this happened the same day as an article came out with a video showing Tom Cruise failing and injuring himself on a stunt. I’d even say Tom is a professional stuntman with many many years of action stunts under his belt…I hope he dials it back a bit after hearing about this accident though. He will have a great action legacy left behind and if the last movie is The Mummy, then I hope he can make plenty more to erase that last crap flick from his resume. Characters in movies should always wear a helmet when doing a dangerous sport. I’ve seen people on horseback not wearing helmets in movies and TV. They’re actors, not riders and should be wearing helmets. One day there’s going to be an accident and it’ll be blamed on the horse rather than the production company, which should insist on proper safety gear. It’s sheer stupidity that someone should die making a movie. Put helmets on your stunt men and women for crying out loud!